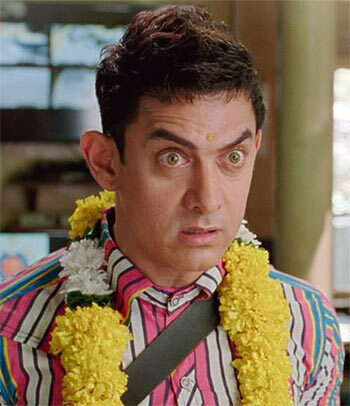 Rediff.com » Movies » #TuesdayTrivia: How long did Aamir Khan take to perfect Bhojpuri language for PK? #TuesdayTrivia: How long did Aamir Khan take to perfect Bhojpuri language for PK? In a special series #TuesdayTrivia, we have an interesting trivia question just for YOU! #TuesdayTrivia: What was the original title of Chennai Express? #TuesdayTrivia: How many diyas were lit up for Jalte diye in Prem Ratan Dhan Payo? #TuesdayTrivia: Deepika Padukone made her acting debut in which film? #TuesdayTrivia: Who was the first choice for Dhanush's role in Shamitabh? #TuesdayTrivia: In Navrang, who was cast as actress Sandhya's body double?